Q: What will my support be like during the training? 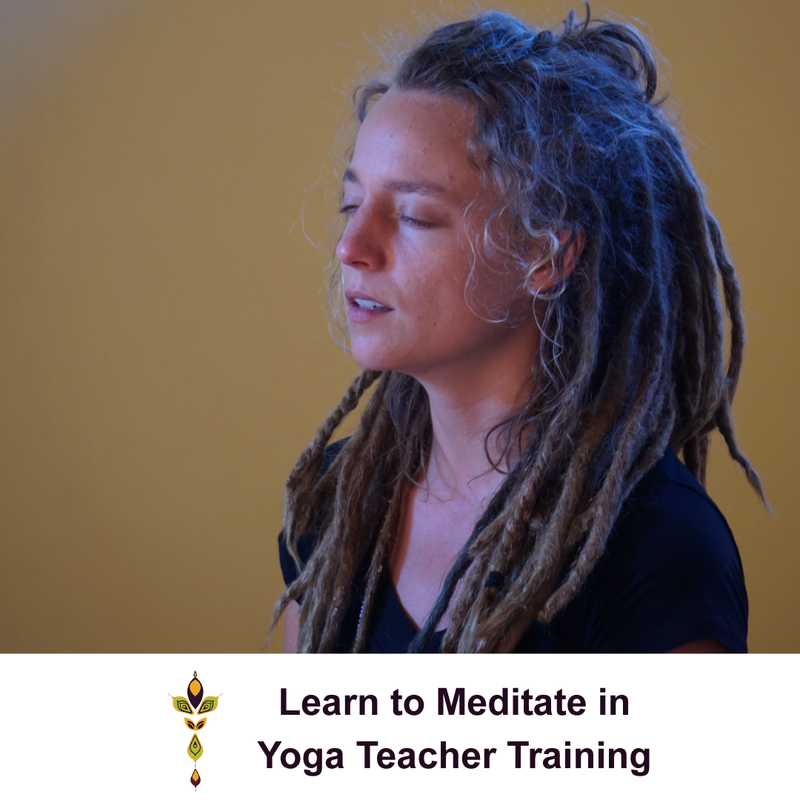 Sarahjoy guides you and fellow students through the training along with guest teachers selected for their expertise and depth of practice. Our school also schedules assistant teachers for every module to support the teacher-student ratio that most enhances learning. Assistants are selected by Sarahjoy for their dedication to practice and skillfulness as graduates of prior yogajoy trainings. Andrew Welsh is our training ambassador and is present at the studio-based modules. He also supports homework, classwork, and the skill-building of teaching. 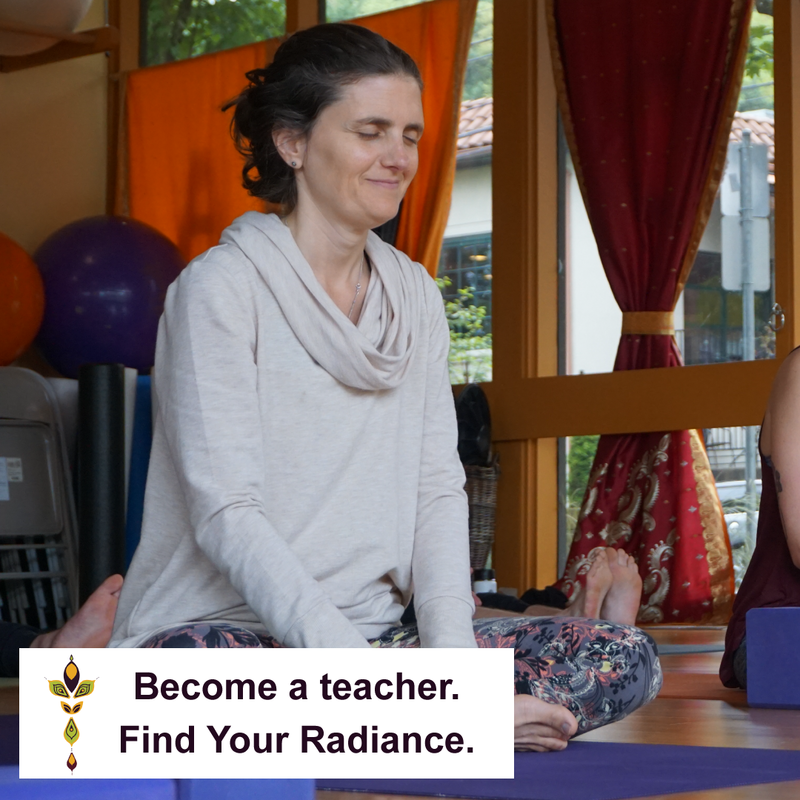 Our training program coordinator can help you with logistics, registration, and completion of the program including registration with Yoga Alliance. Q: Who are the guest teachers in addition to Sarahjoy? ​For guest teachers and their information, see our guest teachers page. The practice of yoga helps us to live in this world with more resilience and persistence. In these times, where there seems to be so much dissonance and violence, practice is necessary so we can continue to show up as who we want to be in tumultuous times. Taking a training is not only to study and refine the way we move on the mat, but to also study and refine the way we move through the world. 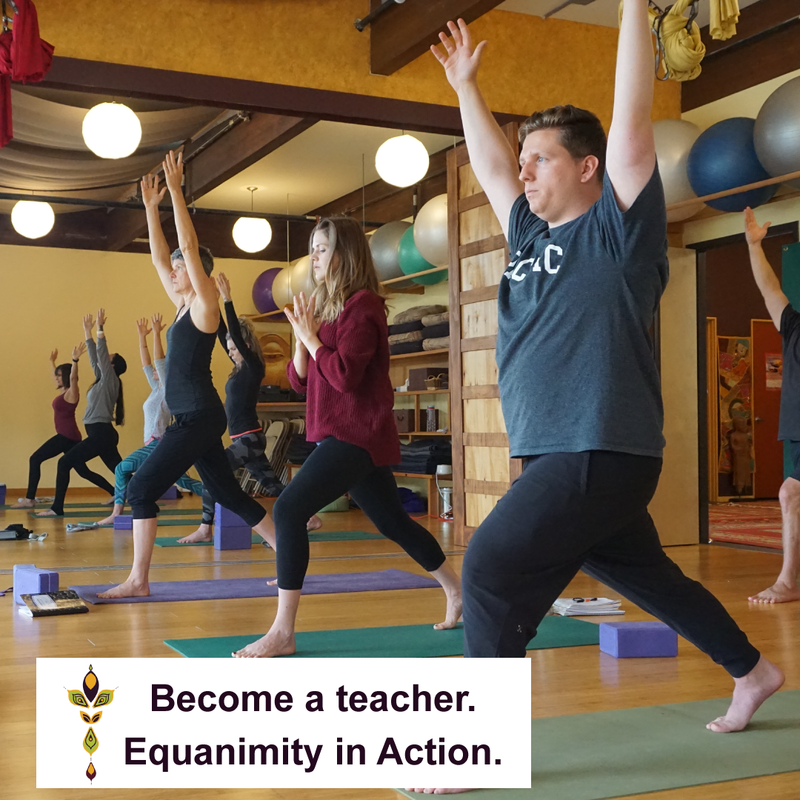 Learning to bring the principles and philosophies of the yoga practice into life is more than just physically empowering; it can help you to become a leader in your community, family, and in your own life. Learning to teach connects you more fully to your own practice, and you’ll know what you know so much more deeply than you thought you could as you learn to communicate it to others. 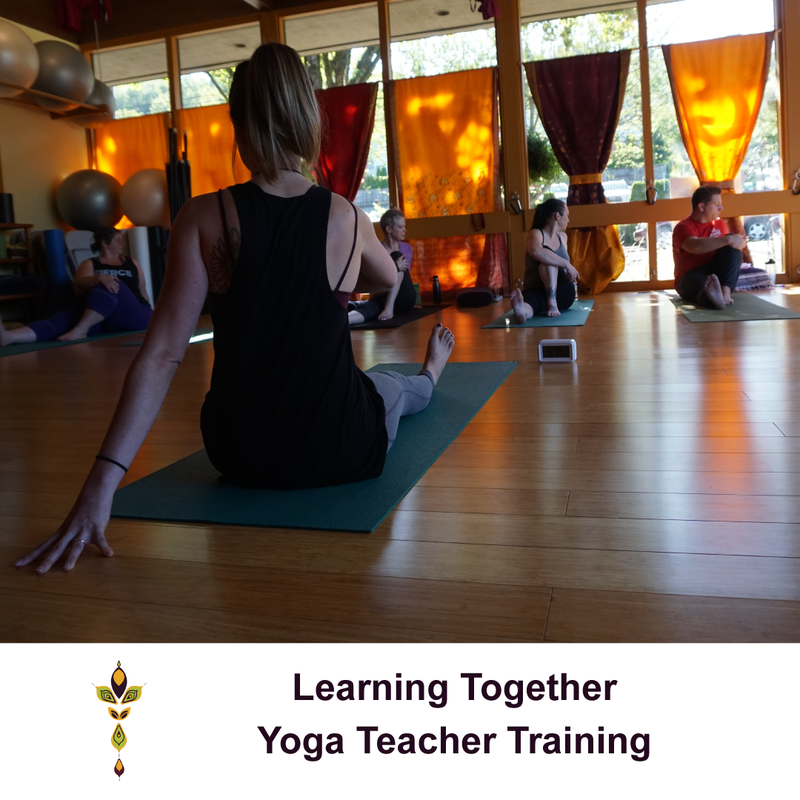 Training is not just for those who want to become teachers, or just for those who can do lotus pose, hold a long plank, or balance upside down. A strong physical practice goes beyond the outcome of the pose and is reflective of the attention and awareness with which a person moves. 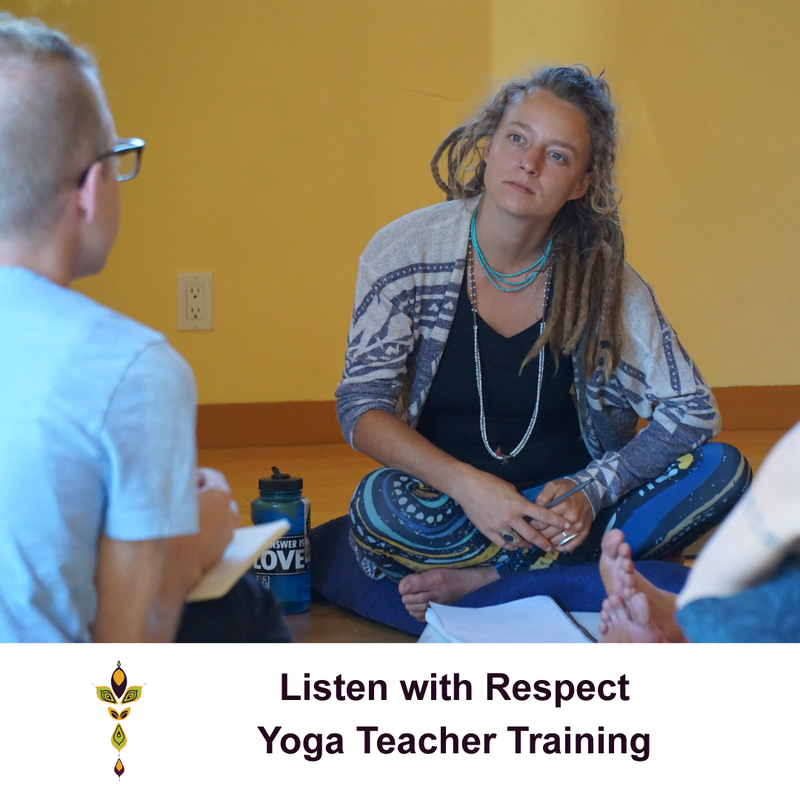 Spending 200+ hours devoted to all of the aspects of yoga practice will deepen your connection to the parts of yoga that have the potential to change the world: deeper listening, strong and sustained attention, courage, and heart. Components of our 200 hour training program are listed here. We provide you with two books as a part of your program: The Way to Love by Anthony DeMello and A More Ardent Fire by Eknath Easwaran. These are included in your tuition. If you are attending the Yoga + Social Justice Training you will receive a copy of the book co-authored by Sarahjoy and fellow colleagues in the field, Yoga in the Criminal Justice System. If you are attending the amrita yoga training you will receive a copy of the book Yoga For Your Type. These are included in your tuition. We also recommend The Sacred Tradition of Yoga by Dr. Shankaranarayana Jois and When Things Fall Apart by Pema Chodron. 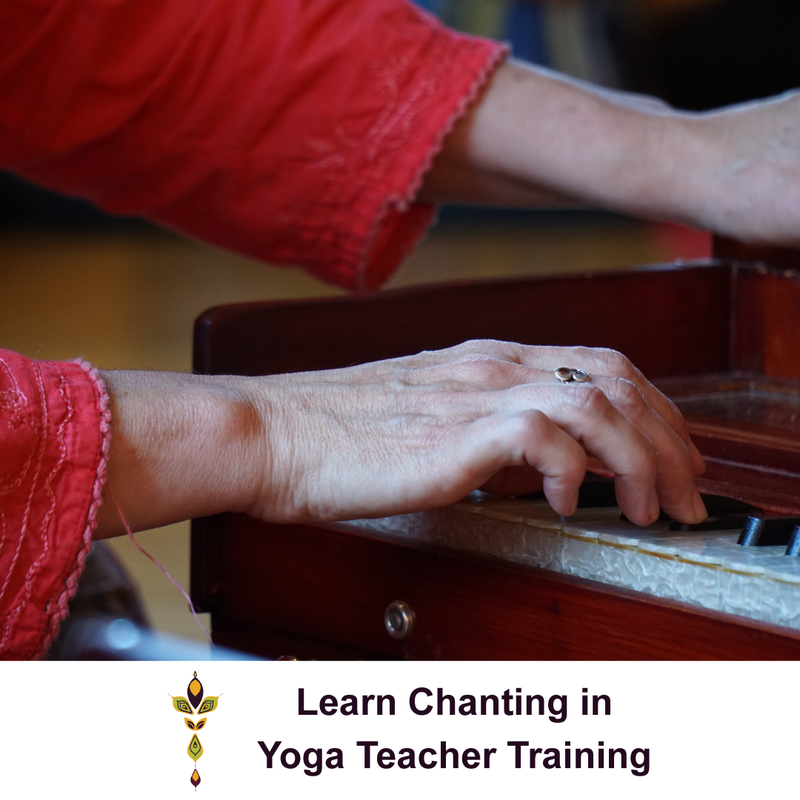 You will have reading and listening homework in the form of assigned readings for our dharma time, and dharma talks pre-selected for you to listen to based on your training choice. For the dharma talks that you listen to, we request that you write a one page reflection journal. You will also have 9 anatomy and asana videos to watch throughout the training, and to keep after the training. Sarahjoy chose specific yoga poses to focus on for these videos. Each video comes with a short quiz where you can check your learning. 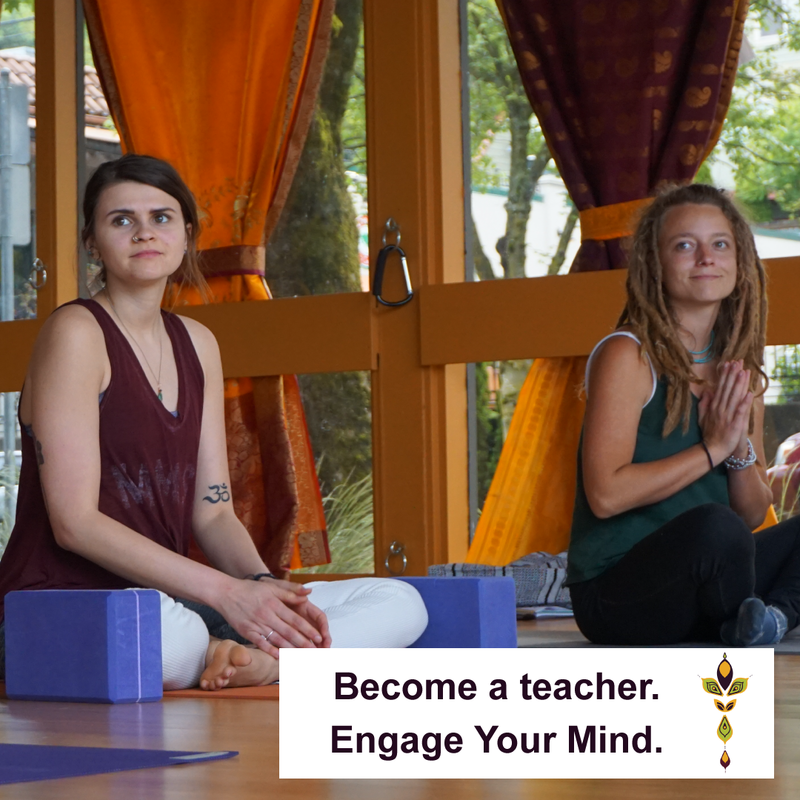 For your amrita yoga specialty, you will be asked to teach two public classes at the end of your training. This can be to friends or to guest students, in a location of your choice or you can use a room at the DAYA Foundation. For these two classes, we ask you to draft a sequence with a mindfulness tool. Sarahjoy will review these sequences and you’ll receive mentored feedback. 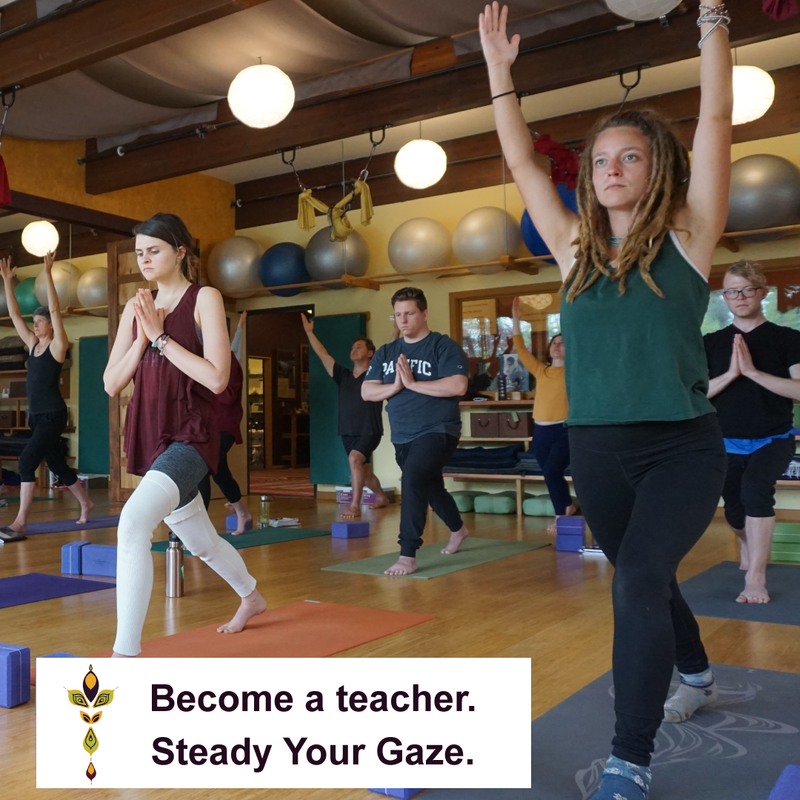 For the Yoga and Social Justice Training, we ask you to teach 10 short outreach classes after you complete your classroom hours. We offer guidance and mentoring. 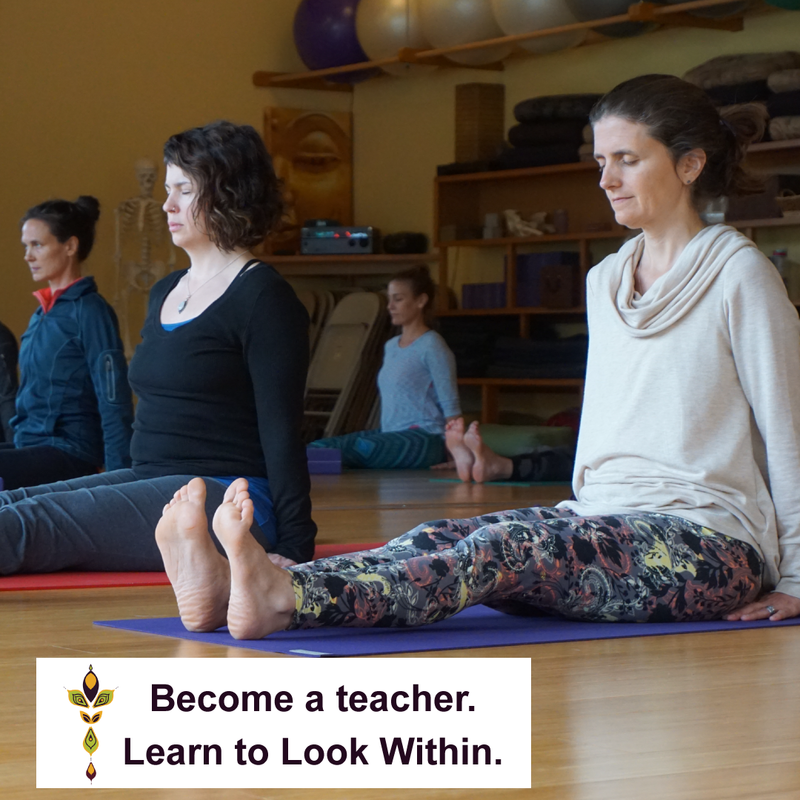 We ask you to keep a reflection journal of your experience teaching these classes. Q: I have to miss some of the 200 hour training. What’s your attendance policy? A: Trainees are required to notify the Teacher Training Coordinator of foreseen absences and are responsible to log and makeup any missed training hours. If less than half of one day is missed during a module, you may still complete the training program with your class, provided that you: Ask for copies of notes that other students took during the time missed. Write a one to two paragraph summary of the material missed and submit to trainings@sarahjoyyoga.com. If a full day is missed during a module, you may still complete the training program with your class, provided that you: Ask for copies of notes that other students took during the time missed. Write a one page summary of the material missed and submit to trainings@sarahjoyyoga.com. If more than one day is missed during a module, you will not be able to complete the training program with your class and you will need to make up the missed days in a subsequent training. The fee for retaking up to four days in a subsequent training is $75/day. The student may also, but is not required to ask for copies of notes that other students took during the time missed. If more than four days of the training are missed, you will need to retake the program, at a discounted price, subject to space availability. Q: How long do I have to complete my requirements and homework for certification as a 200 hour teacher? Trainees must complete all curriculum requirements within 6 months of the last day of the final module of their training in order to be eligible for teacher certification. As a teacher training student, we encourage you to complete as many of the curriculum requirements as possible during your training year while you are being carried by the momentum of your training. Past experience has proven that once you complete your training year, finishing remaining curriculum requirements becomes increasingly difficult. Q: I didn’t/can’t complete my requirements within 6 months. May I have an extension? Trainees may be granted an additional six months to complete their requirements following submission of a written request clearly stating the reason for the extension. This extension will postpone the completion deadline to exactly one year from the last day of the final module of the training. There is a one-time $100 administrative fee for extending the deadline, and the trainee will need to complete any additional curriculum requirements that may have been added. To apply, please fill out the application for the program you’re interested in enrolling in. You will hear back shortly about the status of your application. Please allow 4 days for a response. If you receive an acceptance letter, you will be prompted to make payment to secure your spot and given an outline for the next steps. Q: Where can I find the application for the 200 hour training? Click here for the 200 hour training program. Q: What are your policies for refunds and withdrawals from the 200 hour training program? Refund policy: An applicant who provides written notice of cancellation within three business days of making an initial payment before commencement of the program is entitled to a refund of all monies paid, less a $250 non-refundable deposit. If Module 1 has already commenced, refunds will be issued based on the schedule outlined in the Procedure for Withdrawal. Before the completion of Module 1: 75% refund (less the $250 deposit) will be granted. Before the beginning of Module 2: 50% refund (less the $250 deposit) will be granted. After the beginning of Module 2 no refunds will be granted. Q: What is the cost of the 200-hour program? 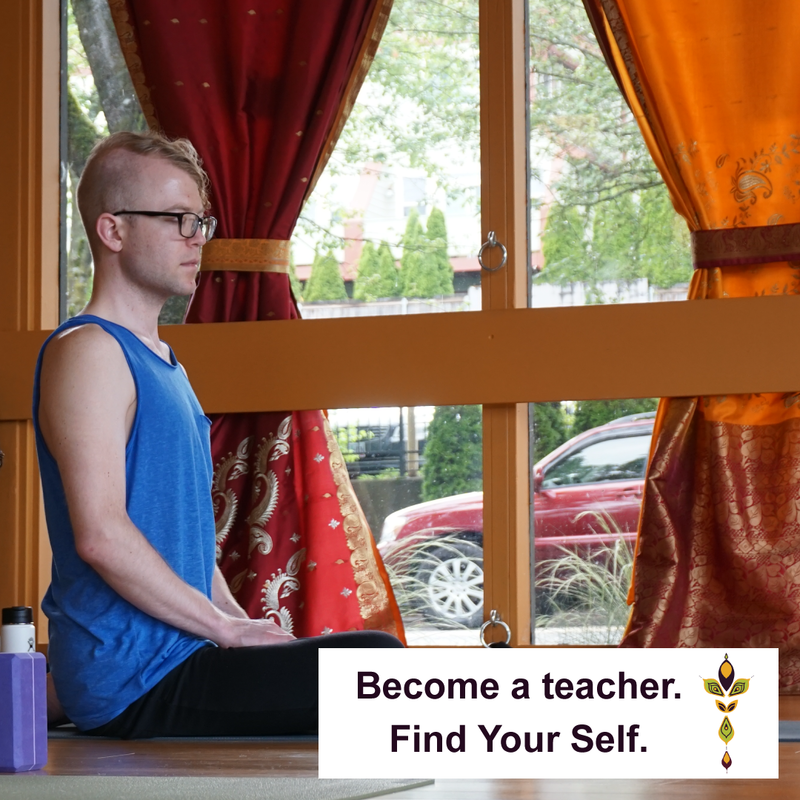 The investment for the 200-hour Yoga Teacher Training is $3,300 with application by early bird deadline and $3,500 thereafter. Payment plans are available. You can pay for the program in full, or via a 2-part or 4-part payment plan. $250 of your initial payment will be held as a non-refundable deposit. Our training school is committed to support scholarships for other students who are marginalized or are experiencing financial difficulties. 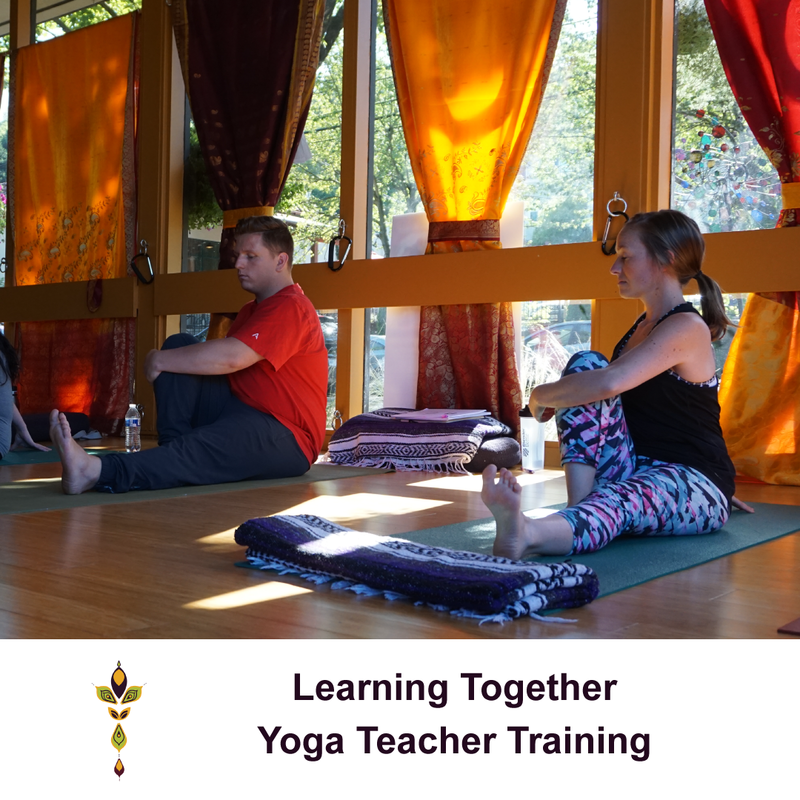 Our programs also support Sarahjoy and DAYA Foundation’s continued work in underserved communities, and the mission to bring accessible yoga to the greater Portland area and beyond. The price of the training also reflects Sarahjoy’s commitment to excellence in yoga education. Yoga Alliance standards require that a lead trainer be present for 65 hours of training. Sarahjoy is present for the entirety of the training, and will be guiding you on your journey the entire way. Q: Are payment plans are available? You can pay for the program in full, or via a 2-part or 4-part payment plan. $250 of your initial payment will be held as a non-refundable deposit. Q: Who qualifies for scholarships? To determine if you qualify for a scholarship or work-trade, please submit an application. Determinations are made on a case-by-case basis. Q: How do I apply for a scholarship? The scholarship application is here. Each training there is a scholarship deadline after which we will notify you if you qualify for a scholarship. We provide work-trade and partial scholarships. Q: I have a question that’s not listed here. Who should I get in touch with? Q: What are the dates for upcoming trainings in 2019 and 2020?